It seems that alot of this election will be won on the back of massive public works, as opposed to (possibly) more important things like battling for a larger share of the GST, education, health and economics (For example, have you heard of any plans to wipe the $25bn state debt?). IN will run through a few of the biggest projects currently on the table (or being taken off the table) from the two major players; Liberal and Labor. At least the ones dominating the media, so we can very simply break it down for you. Also note, for those of you who are really confused, Mark McGowan is the state Labor party leader, and Colin Barnett, the current premier, is the state Liberal party leader. 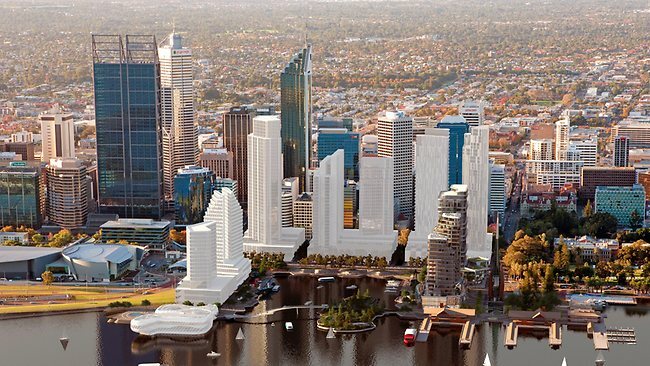 Liberal - Plan to build an awesome, new multi-purpose (AFL orientated) stadium in Burswood, next to the new, to be built, 6-star hotel, this would likely be far easier to get to than current places, as access to free-ways and the like will be quick. Plans are also being developed for satellite car parks. There are doubts over the site as it requires 18 months of ground works. 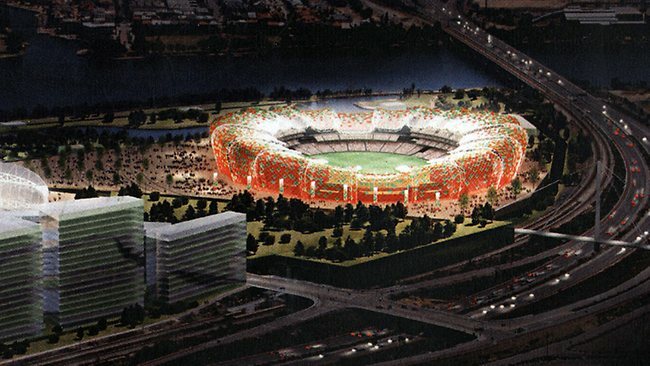 Labor - Plan to build a similar sized stadium in Subiaco, adjacent to the existing Subiaco Oval, before demolishing the existing facilities. Will create savings of $313m that is planned to fund metronet . Though the end result may not be as good. Liberal - Have no real plans for such a rail system, and have lingering bad press after promising rail to Ellenbrook in the previous election campaign. 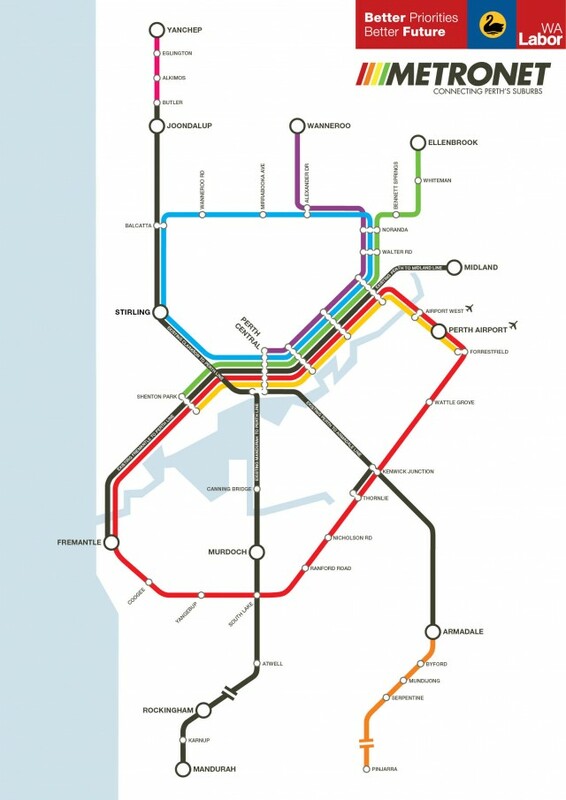 Labor - Have proposed an ambitious network of rail, aiming to connect all regions/existing railways by a series of web-like rail lines. Priced by Labour at $3.8bn, and costed by Treasury at $5.2bn, and estimated, ridiculously by Liberals to be in excess of $6bn, it would revolutionise how we use public transport, and ease congestion. Liberal - Have released plans to develop rail to the airports, however that would be the extent of any rail developments. It would be a 3-station trail that would have 3000 parking bays, and intends to take passengers closer to the airport than Labor's plan, to be completed by 2018 and priced at $1.9bn. Labor - As a part of Metronet, a rail line to the airport would be established, however the only problem is that they will not make a temporary station to serve the soon-to-be-demolished Domestic terminal (by 2020). There is a similar issue being raised that the little-over one kilometre planned journey from the rail stop the airport may be inconvenient; though shuttles will be provided. Liberal - Works are well and truly under-way to transform Perth City's Esplanade waterfront into a modern, sophisticated upper-middle class playground. With riverside restaurants, hotels, offices and apartments, it is an ambitious plan to bring the river back to the city, as well as creating more space for entertainment. Congestion will be eased after the closing of Riverside Drive by adding a lane (Read: Painting over the emergency lane) of the Graham Farmer Fwy tunnel, however this model will only handle an extra 20,000 cars a day, which is only half of the traffic which will be diverted after the closure of Riverside Drive. Labor - Mark McGowan has agreed that something should be done about the lack of more commercial facilities in the area (as opposed to some of the most beautiful city/water front parks in the world), however disagrees with closing Riverside Drive, a road which sees around 40,000 cars a day. Labor are yet to disclose how they intend to keep Riverseide drive when works have already commenced on the project. Liberal - Well, overcrowding at car parks has been rampant for the past four years, and it's a relatively low cost fix. Labor - Plan to construct 'satellite' parking for train stations, which would be serviced by regular shuttle buses to/fro. IN will regularly update this with new developments; as we know more!